Reprint. Originally published: London: Duckworth Overlook, 2018. 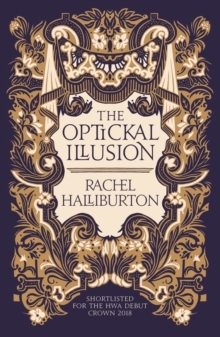 In The Optickal Illusion, Rachel Halliburton's meticulous recreation of Georgian society reveals the sordid details of a genuine scandal that deceived the British Royal Academy. Her debut novel questions the lengths women must go to make their mark on a society that seeks to underplay their abilities - a theme only too relevant today. It is three years from the dawn of a new century and in London, nothing is certain any more: the future of the monarchy is in question, the city is aflame with right and left-wing conspiracies, and the French could invade any day. Against this feverish atmosphere, the American painter Benjamin West is visited by a strange father and daughter, the Provises, who claim they have a secret that has obsessed painters for centuries: the Venetian techniques of master painter Titian. West was once the most celebrated painter in London, but hasn't produced anything of note in years so against his better judgment he agrees to let the intriguing Ann Jemima Provis visit his studio and demonstrate what she knows. What unravels reveals more than he has ever understood - about himself, about the treachery of the art world and the seductive promise of genius. The nature of truth itself is called into question in this story of envy, lust and corruption.